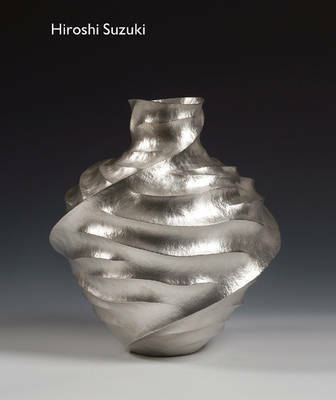 Hiroshi Suzuki has an extraordinary talent for raising silver from single flat sheets to create vessels that are full of flowing, vigorous, graceful lines. His work is intuitive and combines traditional skills with a unique and personal visual vocabulary. He was born in Japan in 1961 and studied at Musashino Art University in Tokyo before coming to London to study at Camberwell College of Art and the Royal College of Art, graduating with an MA in 1999. In 2005 he was short-listed for the Jerwood Applied Arts Prize: "Metal" (UK), and he won the Schoonhoven Silver Award in 2009 (The Netherlands). He is currently Professor of Metalwork and Jewellery at Musashino Art University, with studios in Tokyo and London. This book celebrates the development of Hiroshi Suzuki's work since his graduation from the Royal College of Art. Timothy Schroder joined the silver department at Christie's in 1976 and has since worked as a dealer and museum curator in London and Los Angeles. He lectures and writes on silver and the decorative arts.